Tapping into the richness of Tibet’s meditation tradition, Nawang Khechog has created his most relaxing album yet—wholly focused on helping you experience inner stillness. On Tibetan Meditation Music, Nawang combines Tibetan spiritual chants with his own masterful flute compositions. The result is a soothing blend that has been embraced by many Tibetan and Korean monks, nuns, and people around the world from all walks of life—to enhance a meditative practice, or just to find a refreshing moment of pure serenity. 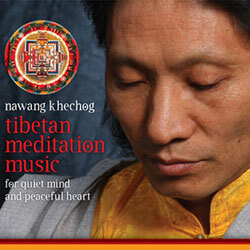 In a unique approach on this recording, Nawang de-emphasizes rhythm and uses subtle accents of vocals, bells, percussion, and Western classical instruments to enhance the calming and spacious sound of his meditative flute and Tibetan spiritual chants. As his most tranquil recording to date, Tibetan Meditation Music has a timeless quality that evokes the feeling of sitting on a Himalayan mountain, gazing into the infinite space with natural freedom and eternal peace. This is the perfect musical accompaniment for meditation, yoga, tai’chi, healing—and complete relaxation. Includes 24-pages of liner notes with in-depth information about each song. Artist photos by Bob Winsett / All rights reserved. For a free catalog of wisdom teachings for the inner life, call 800-333-9185 or visit www.soundstrue.com. 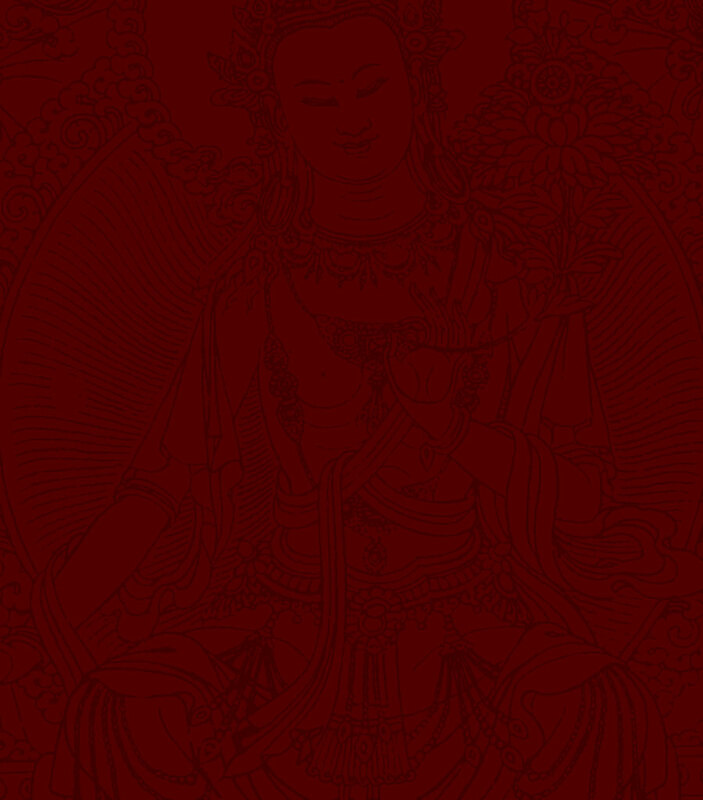 Nawang has received the blessing transmission for all the Tibetan Chants in this album directly from His Holiness the Dalai Lama and Khunu Lama Rinpoche, except Ganglo-ma from song #3 and Mila’s song from song #10. All songs composed, arranged, and produced by Nawang Khechog. Recorded at Sounds True Studio by Steve Rush; mixed at Sounds True studio by Steve Rush and Nawang Khechog, with expert assistance by James Tuttle. Managing Producer for Sounds True: Steve Rush. Mastered at Airshow Mastering by David Glasser. Package design by Rachael Tomich. Liner notes editing by Steve Rush and Mitchell Clute. Front cover photo by Bob Winsett. Dalai Lama photo by Don Farber. Author photos by Bob Winsett. Photo of Nobel Laureats taken by Mike Engle. Other photos by Nawang Khechog. All songs published by Tibet Universal Music Publishing (BMI). All vocals, chants, and instruments performed by Nawang Khechog, except for female vocals by Tsering Khechog, cello by James Hoskins, violin by Sandra Wong, oud by Jesse Manno, and synthesizer by Deborah Schmit-Lobis. my wife, Tsering Y. Khechog. 1. The preservation of Tibetan culture and the freedom of Tibetan people. 2. The promotion of the values of love and compassion through my Awakening Kindness workshops—I feel these human values are the bedrock of all human spirituality and creativity. 3. Religious harmony in the world, through sincere and open-minded exchange of heartfelt conversations with members of other religious communities. As His Holiness the Dalai Lama has advised us so many times in his public addresses, I try to take every opportunity to practice this in order to gain a deeper understanding of the greater value of all faiths, which promotes the basic values of love, compassion, tolerance, a nd forgiveness. May all be kind to each other! May Tibet become free and a zone of peace! and follow their own paths sincerely! Nawang Khechog fled Tibet in exile when China invaded his homeland in 1959. Nawang has studied meditation and Buddhist philosophy as a monk in India for eleven years, including four as a hermit meditator. In an historic moment, in 2000, he was the first Tibetan to be nominated for the prestigious Grammy Award. He has toured internationally for the last twenty years, and has performed live with Philip Glass, R. Carlos Nakai, Andrea Griminelli (Pavarotti’s flutist), Laurie Anderson, Kitaro, David Bowie, Peter Kater, Ustad Sultan Khan, Natalie Merchant, and Trey Anastasio of Phish. Nawang has performed over a dozen times at Carnegie Hall for the Tibet House annual benefit concert, and at the U.N. General Assembly Hall for the opening of the first Earth Summit. Most recently, he performed for the opening ceremony of the public address by the ten leading Nobel Peace Laureates in Denver, Colorado, for the PeaceJam Foundation’s tenth anniversary celebration. For more information, go to www.nawangkhechog.com.